Australian organisations aren’t working hard enough to ensure employees closest to the customer can raise ideas that help improve customer experiences, Optus managing director, Allen Lew, claims. 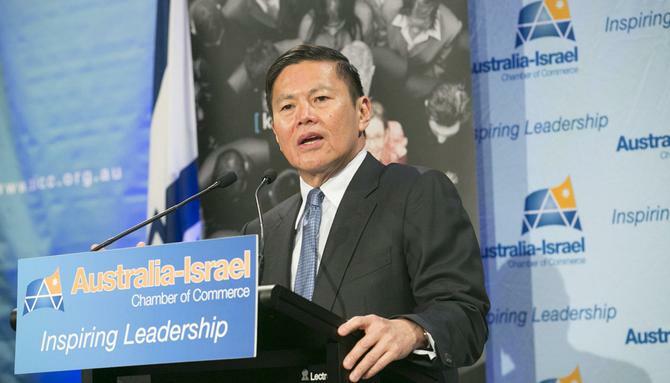 Speaking at the latest Australia-Israel Chamber of Commerce (AICC) lunch in Sydney, Lew said the onus was on employers to create the cultural change necessary to ensure more ideas flow through their organisations. “Culture is the part we have the biggest role to play in,” he said in response to a question on better fostering innovation in Australia. “By nature, enterprises are very structured and tend to have an organisational structure that makes it difficult for people on the ground to get their ideas percolated and discussed. As an organisation, how do we tap not just the skills and brains of top leadership and middle management, but every single employee? Lew’s keynote focused on the steps Optus and parent company, SingTel, is taking to drive digital transformation and innovation across the business in the face of changing customer behaviour. He cited four “megatrends” having a profound impact on how telcos provide value to customers: Technological improvements around rich digital media; the consumer shift towards interacting, shopping and engaging with communities online, specifically via mobile devices; greater collaboration and knowledge management in the enterprise; and the emergence of huge digital companies at one end of the scale, and small, nimble startups at the other. “All of this has started to disrupt traditional telco valuation and has a direct impact on brand loyalty of customers and industry value chain,” Lew said. Lew said SingTel has borrowed the strategy of the Israeli Defence Force to come up with a three-pronged go-to-market approach known as “shield”, “expand” and “capture”. “Shield” is about focusing on the basics, he said. To do this, Optus will continue to invest nearly $2bn into core infrastructure to provide an integrated, next-generation platform for fixed and mobile networks as data demand grows. In regards to “expansion”, Lew said Optus is looking to adjacent areas of business to enhance core with capabilities and digital services. He pointed to digital content partnerships, such as its deal with Netflix, as an example. The “capture” imperative is about taking risks and being a market disruptor, Lew said. “We need to make sure we can innovate, and at scale, and we must be prepared to provide more in-depth services to our customers,” he said. To achieve this, SingTel is focusing on co-opting, innovating and bringing third-party ideas to this market, Lew said, and has invested $2bn into four areas of high-growth potential. The first was Amobee, a digital marketing capability that monitors online and social sentiments of consumers on a real-time basis to help marketers with highly targeted media campaigns. The telco has also partnered with Wi-Fi data analytics platform, Skyfii, to provide bespoke and off-the-shelf analytics products relating to consumer retail habits. Outside of Australia and in developing markets, SingTel is also investing in premium mobile video service. And in the enterprise, the telco’s acquisition of US-based Trustwave in April is helping it to build out cyber security offerings. Lew said SingTel is also using venture capital to make small, early-stage investments to bring next-generation technology offerings to market that improve consumer engagement. To date, it has made 30 investments across the US, Israel, China and Australia. These include Everything.me, which adds contextual search capabilities to mobile phones, and Jasper Wireless, which provides a machine-to-machine learning applications platform. In addition, SingTel is striving for a more open and collaborative innovation ecosystem in four locations: Singapore, Sydney, Tel Aviv and Silicon Valley, Lew said. These hubs will leverage the mindsets of 2000 people including Australian and Singaporean staff, external partners, universities and startups. “Our goal is to search for fledgling ideas which we can incubate to be the seeds for the next growth areas of our business,” Lew said. “In the past, the telco industry has had the tail winds of technology innovation to propel growth. The market, however, is shifting to an all-digital world, where digital platforms, not necessarily infrastructure-based, are growing rapidly. And they’re growing in the areas of importance to our consumers and business customers – in communication, collaboration, entertainment, security and security. “The only valid response for us is to go back to the basics, have an advance understanding of customer preferences, but also importantly start to develop business models aligned to customer insights so we can grow and prosper.